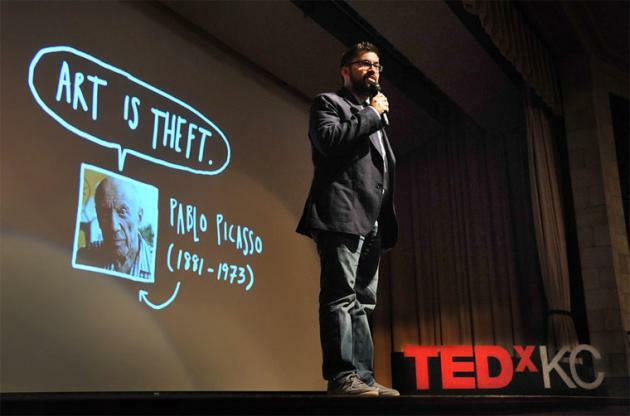 "Austin Kleon's talk 'Steal Like An Artist' is a creative manifesto based on 10 things he wish he'd heard when he was starting out. Austin is a writer and artist. He's the author of Newspaper Blackout, a best–selling book of poetry made by redacting newspaper articles with a permanent marker. Austin's talk was delivered as part of the TEDxKC presentation of TEDxChange. Austin's work (including his new book) 'Steal Like An Artist' has been featured on NPR's Morning Edition, PBS Newshour, and in The Wall Street Journal. He speaks about creativity, visual thinking, and being an artist online for organizations such as SXSW and The Economist." 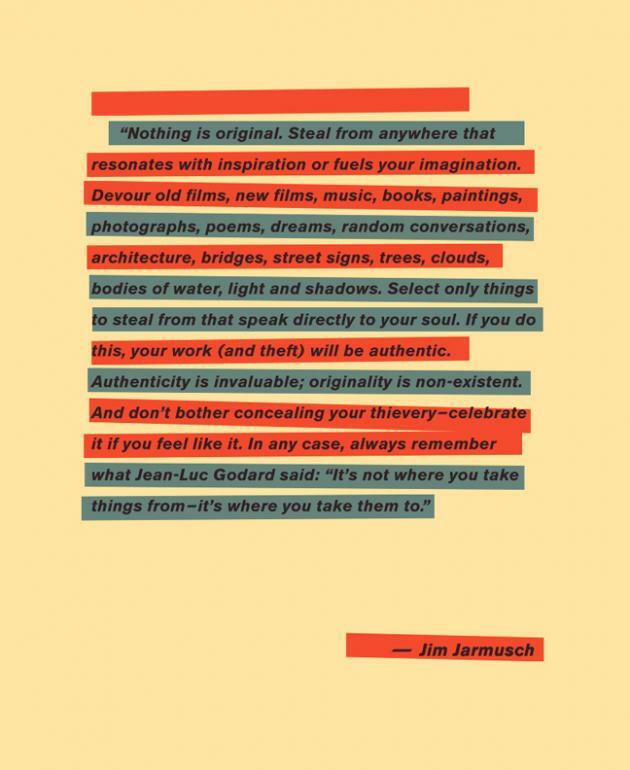 Jim Jarmusch: authenticity is invaluable; originality is non-existent! "Nothing is original. Steal from anywhere that resonates with inspiration or fuels your imagination. Devour old films, new films, music, books, paintings, photographs, poems, dreams, random conversations, architecture, bridges, street signs, trees, clouds, bodies of water, light and shadows. Select only things to steal from that speak directly to your soul. 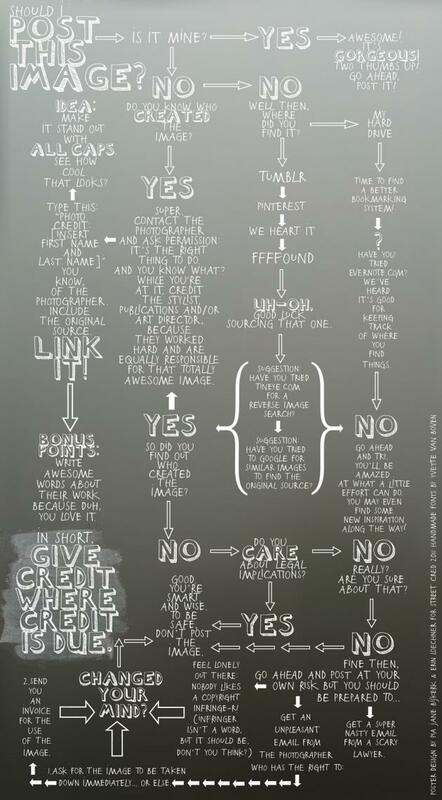 If you do this, your work (and theft) will be authentic. Authenticity is invaluable; originality is non–existent. And don't bother concealing your thievery – celebrate it if you feel like it. In any case, always remember what Jean–Luc Godard said: 'It's not where you take things from – it's where you take them to."